Hiring a wedding planner will allow you to enjoy your wedding day, backed with the knowledge that you have a professional taking care of everything for you. For more detailed information on our services and how Kennedy Event Planning can fit into your wedding day, contact us. Let’s get planning! 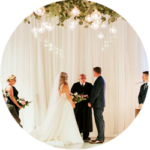 A comprehensive wedding planning service that provides our clients with the resources, guidance, and expertise to make their wedding day memorable. We take care of the planning, preparation and coordination of your wedding, allowing you to enjoy the entire process – stress-free. 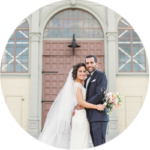 A creative and personalized service for couples who require assistance with the finer details of their wedding. Together with our clients, we prepare and coordinate the remaining details of your wedding planning, assisting you from any stage in your planning through the final process. For our “do-it-yourself” couples, this day-of coordination option allows our clients to take the leading role in their wedding planning while we aid them with the specific details that will make their day unforgettable. Together, we will tailor a planning package that best suits your needs.